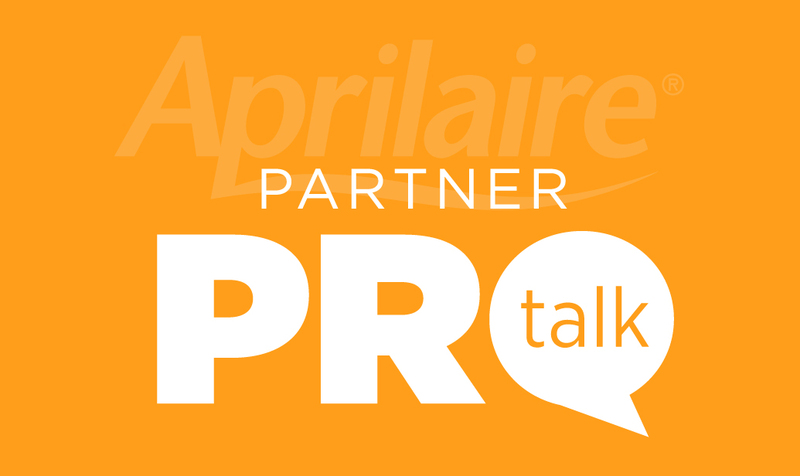 One of the things we want to do here at Partner ProTalk is feature stories from our great Aprilaire Partner dealers from all over the country. Our Marketing Communications Manager Tom Ruse recently talked with Neil Voss from Voss Heating to see how he and his team make Aprilaire Air Purifiers a focus of their installs. It’s all about having a combination of the right equipment, smarts and in some cases, a little spit-balling. Whenever I talk to contractors who’ve been around the block about installs, it’s amazing how quickly they start talking over my head. It’s not that they mean to, it’s just that it’s not that big of a leap. But still. I’m always impressed with their technical chops. They have to know the physics of air movement, the mechanics of HVAC equipment, plumbing and electricity hands down. They also tend to be the ultimate handymen; able to think on their feet, improvise when necessary and find a solution to a set of problems that may be so unique that they may never come across them again in just the same way. Neil Voss is one of those guys. He may have a fancy, yet well-deserved VP title now, but when you talk to him, you know he’s “been there/done that” and probably still does. I asked Neil about a particular install that illustrates a way to use a larger air cleaner for tons of air flow, while keeping static pressure in check. This is some of Neil’s handiwork. “This is a 5 ton system with 4 zones. There are actually 2 systems like that in this building. It’s a church and it’s a classroom wing of the building they added on. We have 10 tons of cooling in there and 8 separate zones. The furnaces are set up to provide about 2,000 CFM, so we wanted to use the 1510 filter. The size of the 1510 allows plenty of air to move through it without adding a lot of static pressure. 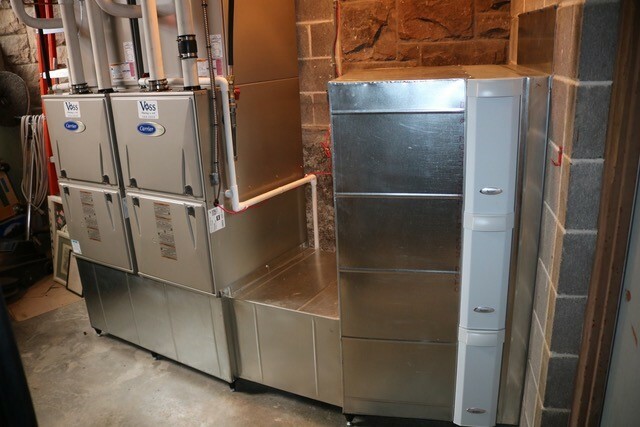 Three Aprilaire 1410 Air Purifiers (right) stacked and mounted to return box on two twinned furnaces. “We’ve used Aprilaire filters in a lot of ‘unconventional’ settings. We recently installed three 1410 filters banked together on two twinned Carrier furnaces that share a return box. Another thing we do A LOT in lieu of trying to adapt a filter to a unit: we install the filter in the furnace or fan coil box and the box is made the correct size for the unit. Hard to explain, but actually simple in concept. This makes for a super clean install because there are no weird overhangs or things not fitting, etc. 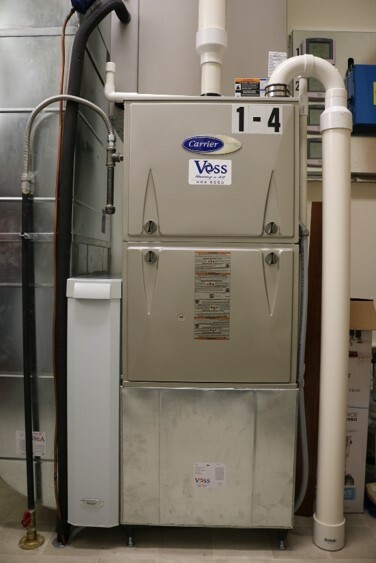 “Bottom line is we don’t ever go to an install and think, ‘the filter has to attach directly to the furnace or air handler’. Depending on the situation, we routinely use the filter in what will end up being the cleanest or neatest way to install it. So the 2210 might get used on a furnace, the 1410 might get used on a fan coil. We’ve used a bunch of 1510’s but we haven’t used one on a geo thermal yet. We stock the whole 1000 series line, and only replace the media with MERV 13 media”. So there you have it! Straight from the Pros. Even our own Air Purifier Product Marketing Manager Chris Chase concurs after viewing these pictures. “These guys install a good looking system and you can tell that they design it for performance and with the end-user in mind”. 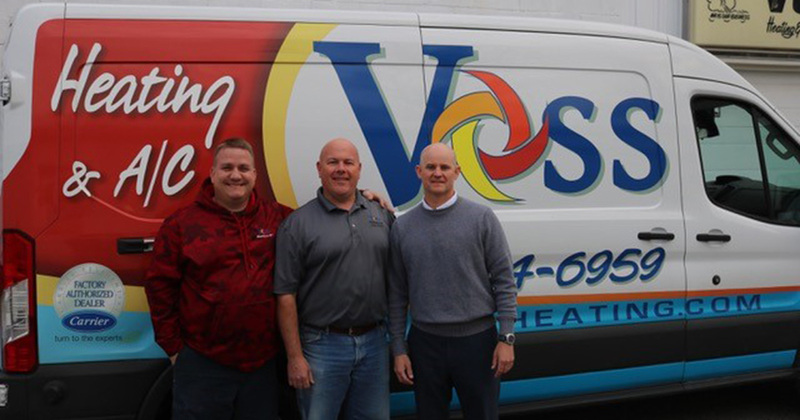 Neil Voss is Vice President of Voss Heating and A/C in Murphysboro IL. 15 years at Voss, Neil and his brother-in-law Anthony Baston took over for Neil’s father, who started the business in 1972. Voss runs 10 trucks around a 45-mile radius from Murphysboro, a rural community about 100 miles southeast of St. Louis.